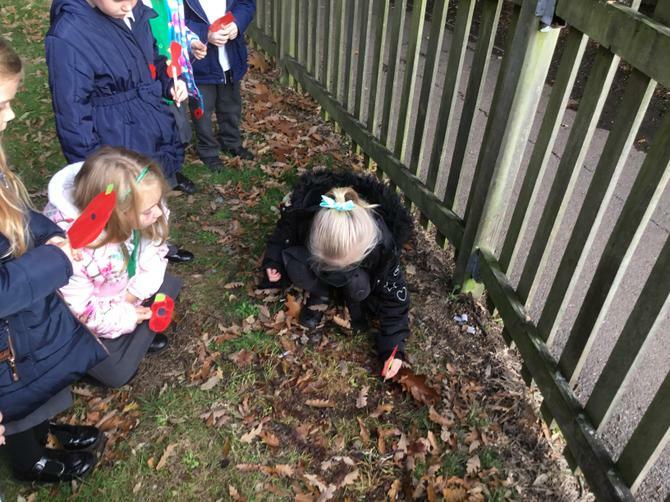 The children in Year 1 having been thinking about the importance of Remembrance Sunday. 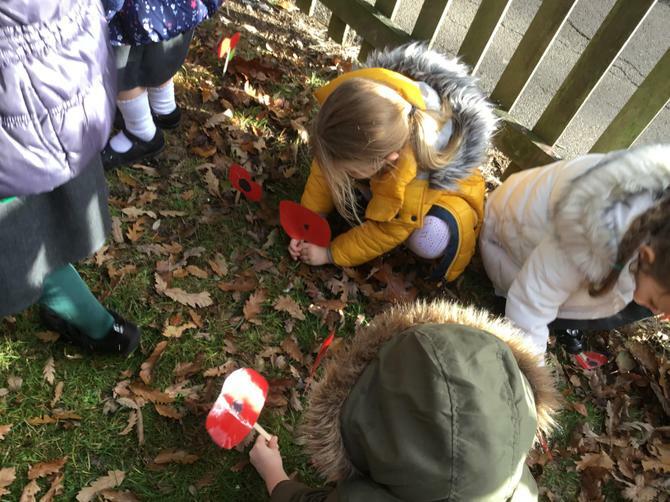 They learnt that the First World War ended at 11 in the morning on the 11th November in 1918 and that every year afterwards we have remembered all the people who fought and died for Britain in all wars. 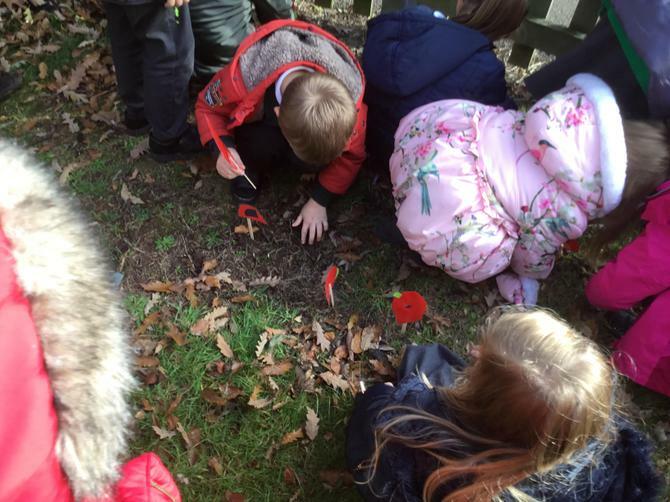 They discussed why we are wearing poppies this week and the ceremonies that will be taking place on Sunday. 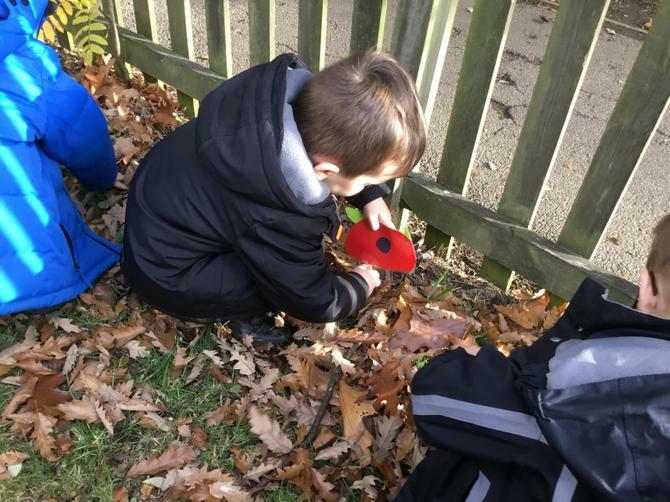 After they made their own poppies and wrote thank you messages on them. 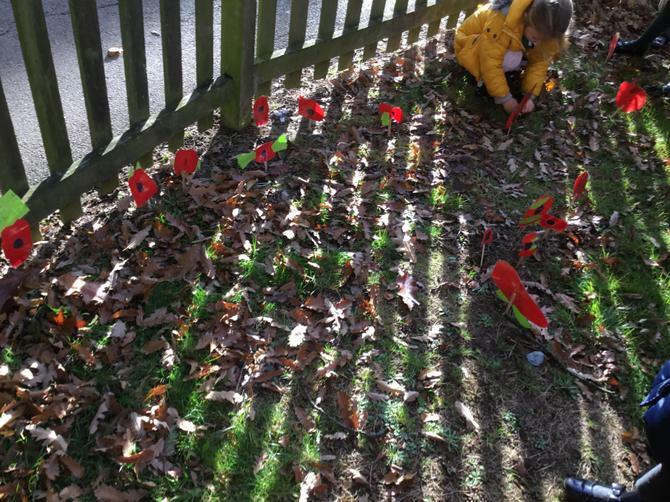 In the afternoon they took their poppies to the woods and planted them. 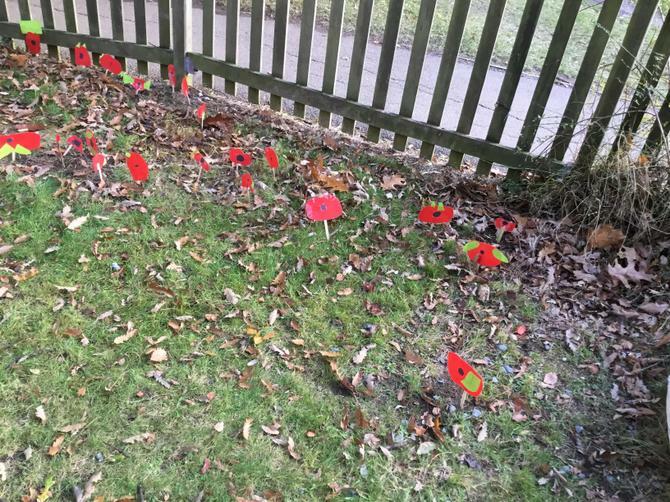 Maybe they can tell you about the importance of the two minute silence or about the instrument they listened to? 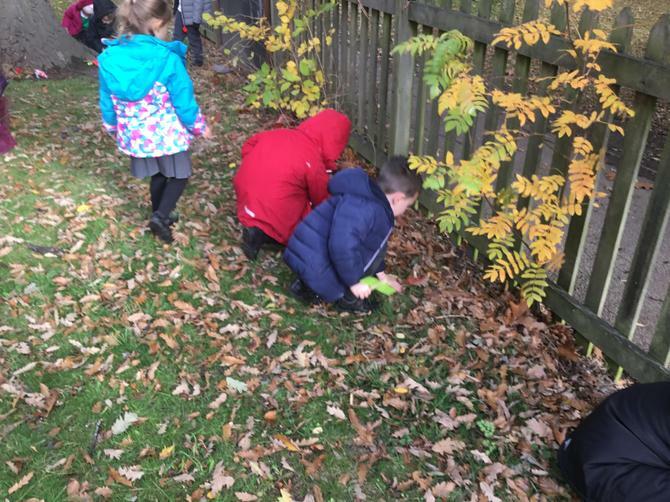 This terms Topic is 'Brilliant Buildings' and the children are enjoying learning about the brilliant building around the world in addition to, those in their local environment. 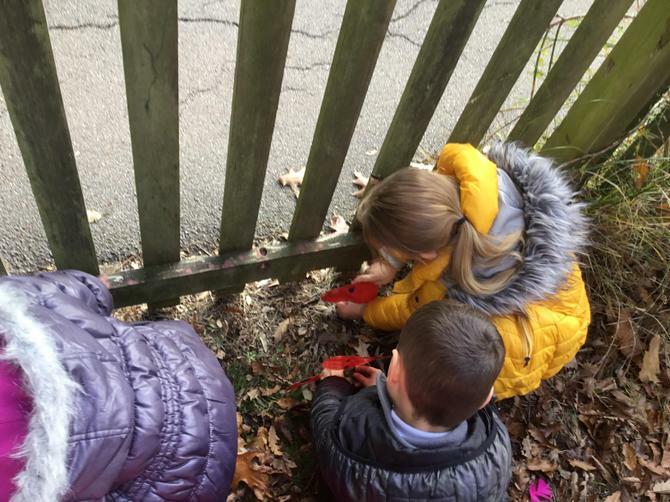 They have been looking at the 2D and 3D shapes they can see in the buildings and the suitability of the materials used in their construction. 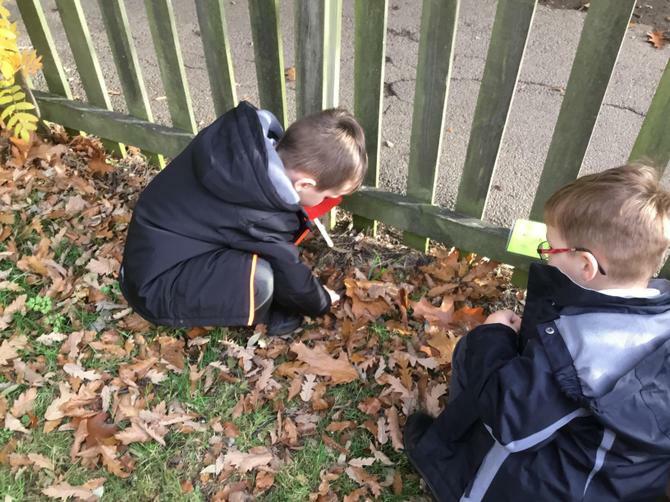 During DT they designed their own homes thinking about what materials and resources they might need. They then got to work constructing, adapting and evaluating their plans as they worked. 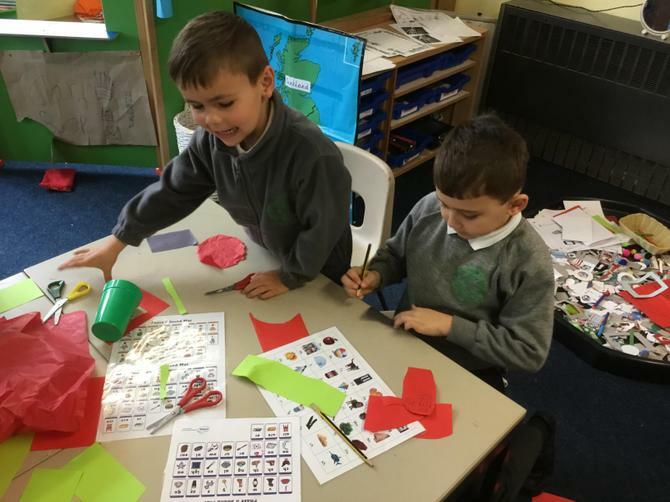 They have also been learning about gargoyles and churches. 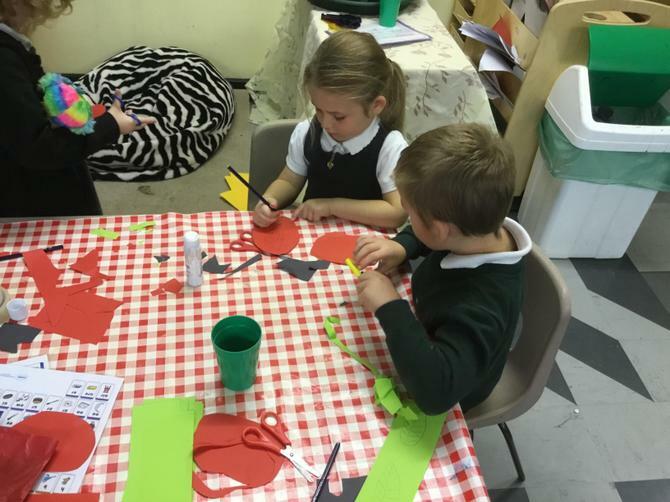 They have made stained glass windows and thought about whether the materials used are translucent, transparent and opaque. In addition to, designing their very own grotesque gargoyle with clay.